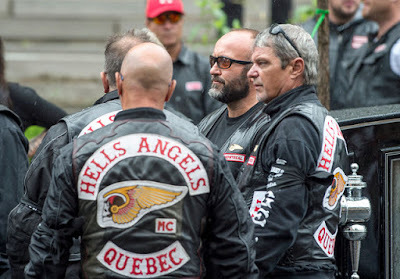 Hells Angels are stronger in Quebec than they ever have been. There are now 7 puppet clubs and 160 followers wanting to get 'on the program'. There are currently about 80 full patch in good standing in the Province. Law enforcement describe members of puppet clubs as the HA "workforce" for crime. They prevent their mentors from dirtying their hands and offer additional insulation from the police. Apprentices who are hoping to enter the "big club" must do their classes there. This year police noticed the arrival of two "small clubs" among the seven that they consider dominant. These are the Minotaurs and Demons Choice. 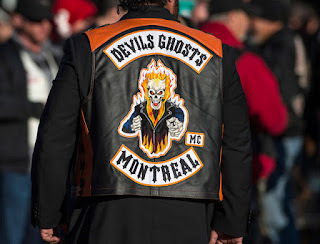 The other five main Hells fan clubs are the Devils Ghosts, the Deimos Crew, the Beast Crew, the Headhunters and the Dark Souls. The Dark Souls have the most seniority. 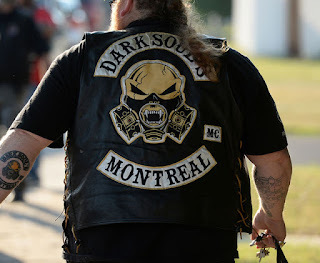 They emerged when almost all of the HA in Quebec were imprisoned as a result of Operation SharQC in 2009. The Devil's Ghosts, founded by Salvatore Cazzetta, who led the Hells between 2011 and 2015 are the most numerous. According to police the HA are currently "in business mode and not in violence mode". This means they are placing their pawns all over the province for greater visibility to demonstrate their power and influence.